Visiting Info: Check website for reservations, Kensington's Restaurant: daily 7am-10pm, Ascot's Pub: daily 11:30am-11pm (midnight Fri-Sat), Spa: Sun-Thurs 7am-8pm. Built in 1929, the Norwich Inn hosted tons of celebrities before falling into disrepair after World War II. In 1994, the Mashantucket Pequot Tribal Nation bought the renovated property which then included a spa in addition to the original inn and golf course. The tribe renovated and doubled the size of the resort again in 2000 to make it the luxurious destination it is now. The property includes 45 guest rooms and four suites in the Inn and 50 condo villas that have their own kitchens and sitting areas. The full-service spa offers 37 different treatments, a salon, a steam room and sauna, indoor and outdoor pools, a fitness center, and tennis courts. If you can't stay for the night, you can eat in the Kensington's Restaurant or have a drink in Ascot's Pub. The Inn also hosts conferences and weddings with in-house catering. 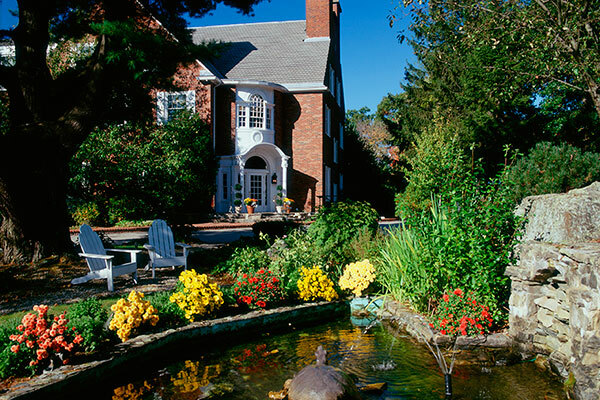 The Spa at Norwich Inn is conveniently located halfway between New York City and Boston and is one of the Historic Hotels of America, part of the National Trust for Historic Preservation. It's also minutes away from the Lake of Isles Golf Courses, the Mashantucket Pequot Museum and Research Center, Foxwoods Resort Casino, and Mohegan Sun Casino, all of which are tribally-owned.